Gables Farm Cats and Dogs Home has been helping the region’s dogs and cats since 1907. We look after some 1000 cats and dogs every year. We either rehome or re-unite them with their owners and provide constant veterinary care and attention to all of them during their stay with us. We enforce a strict non-euthanasia policy, which means no healthy animal in our care is put to sleep unless they are seriously ill and suffering or too dangerous to rehome. Some dogs and cats stay with us for a long time but we never give up hope of finding them a new loving home no matter how much it costs! We rehome animals all over Devon, Somerset, Cornwall and the Isles of Scilly. We receive no Government funding so totally rely on the generosity and support of the public through donations and legacies. As well as generating funds by fundraising, we now offer a dog and cat boarding service. All the money raised from this service goes straight back to the charity to fund the vital work we do. By using our boarding service you can directly support the charity and make a huge difference to animals in need in your local area. We also have a shop on site that sells a wide variety of pet products and animal themed gifts. Again all the money raised from shop sales funds the work we do. 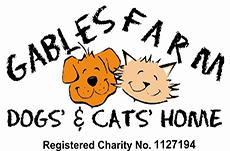 If you would like to help raise funds for Gables Farm Cats and Dogs Home whilst at the same time reducing the amount of waste consigned to landfill please use the contact us below. If your items are eligible, please call us on 0333 323 7677 or fill in the contact us form below and we will ensure that your items are recycled on behalf of your chosen charity. Once your free collection is arranged we will send you packing and further instruction. All proceeds go to Gables Farm Cats and Dogs Home.